Vi afholder 6-8 kurser om året og de er åbne for al.le, der har interesse i at lære om grafik. Kurserne har typisk en varighed på 4 dage fra 10-16, og prisen er ca. 1500 kr. 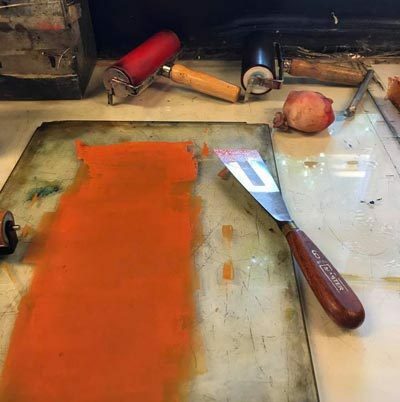 Join Annie Silverman as she demonstrates methods for creating richly layered prints with varieties of textures and colors. 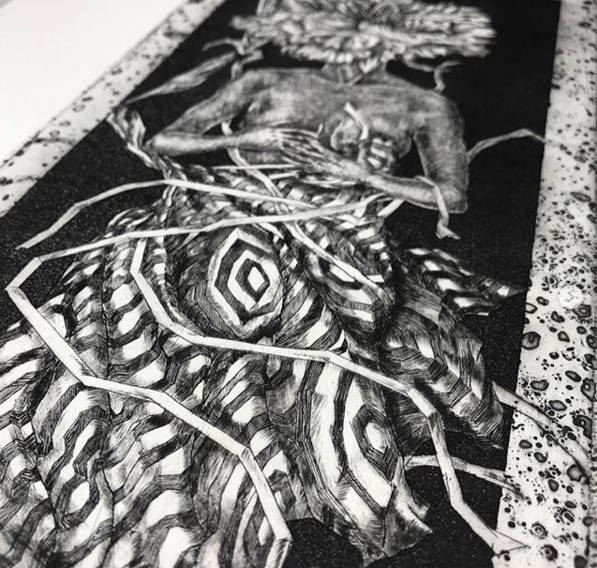 Using relief printmaking techniques, with stencils and masks, chine colle', and polyester plate lithography or pronto plates, this is truly a MIXED MEDIA printmaking experience. Pronto plates can be used to add photographic, drawn elements and text to prints and sometimes give that extra “something” that wasn't there before. 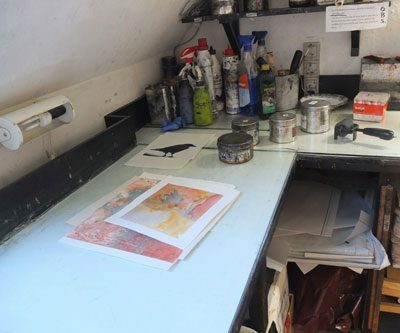 Students can try various techniques or focus on one or two, and are encouraged to bring prints that they have created before that they consider being not quite “finished". 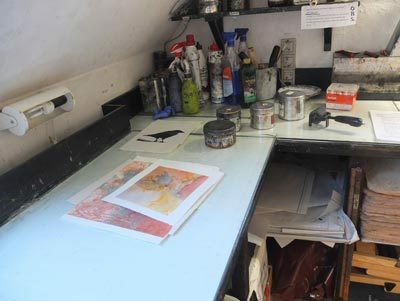 Maybe this workshop will provide new ideas and techniques to get those prints to the next step. Der undervises alle dage kl. 10-16 på engelsk. Fra skitse til træblok – den oprindelige grafik. Træsnittet er den ældste manuelle grafik. På dette kursus lærer du fra grunden om færdighederne i denne teknik. Dine ideer bliver skitseret og skåret i træ ved hjælp af teknikken i den “tabte form”, og overføres trin for trin via trykpressen eller manuelt til papiret. Deltagerne har et veludstyret værksted til deres rådighed. OBS! 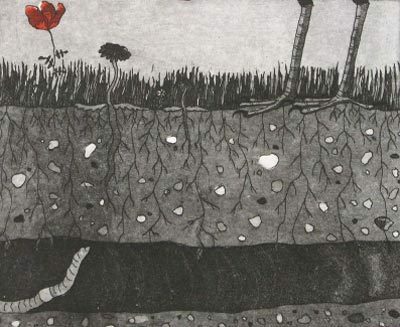 Undervisningen foregår på tysk /engelsk. med fotografiske elementer og computerbearbejdede motiver. Teknikken er hurtig, effektfuld og god at kombinere med andre teknikker. Vi vil arbejde med farver og flere trykgange.Der arbejdes ud fra sort/hvide fotokopier, som bruges som trykplader. Det skal være en ”klassisk” fotokopi med god kontrast på mat papir. Print fra ink-jet printere kan ikke bruges da de er vandopløselige. Medbring sort/hvid fotokopier med dine motiver. Trykpapir og farve kan købes. 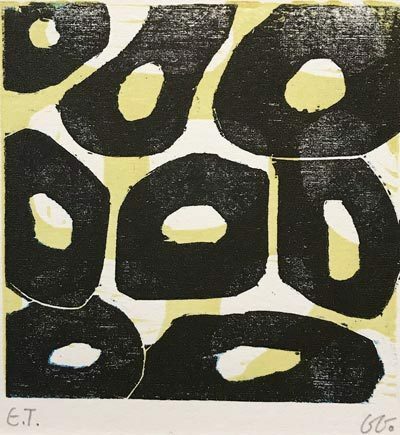 Created in 1967 by Henri Goetz, a french american printmaker. It uses carborundum or silicon carbide, an artificial abrasive, like sand which gives very deep blacks, rich textures and nice shadings. You don't need to engrave your plate, but just to fix the carborundum on the plate with glue or varnish. You can also combine different techniques of etching or maybe use oldetching plates. NB medlemmer får 25 % rabat på kurserne. 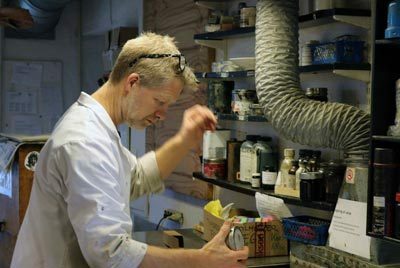 During the year we offer 6-8 courses in different techniques for anyone interested in printmaking. The courses typically have a duration of 4 days from 10-16 in the daytime and approximate prize of 1.500 DKK. 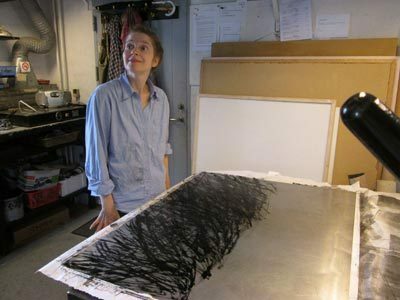 In this 3-day workshop participants will learn all aspects of polyester plate lithography. Teaching all three days from 10-16 in English. From sketch to wooden block – the original graphics. The woodcut is the oldest manual graphic. At this course you will learn the foundation and skills of this technique. Your ideas are sketched and cut into wood using the “lost shape” technique, and are transferred step by step to the printing press or manually to the paper. Participants have at their disposal a well-equipped workshop. Materials can be purchased at the course. with photographic elements and computer-generated motifs. The technique is fast, effective and good to combine with other techniques. We will work with colors and more pressures. with a good contrast on food paper. Print from ink jet printers can not be used because they are water soluble. Bring black and white photocopies with your designs. Printing paper and color can be purchased. Members get a discount at 25% for a course.